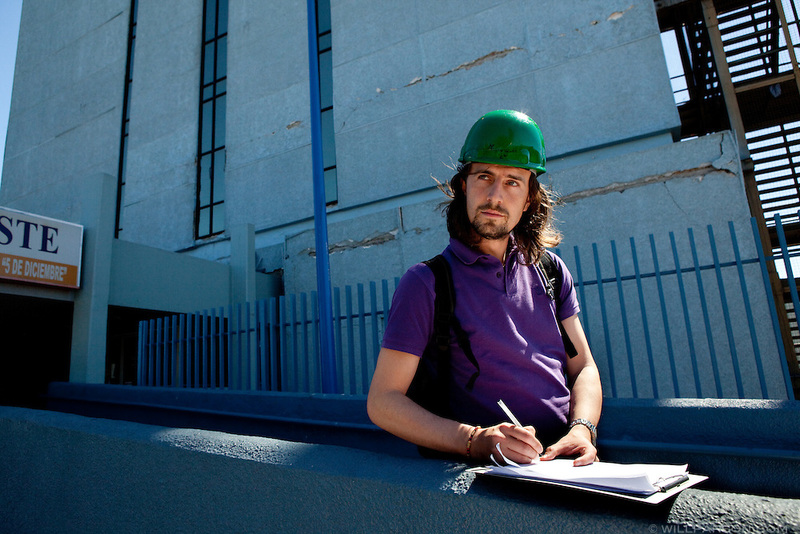 Dr. Flavio Mosele, a UCSD visiting scholar from the Department of Structural and Transportation Engineering at the University of Padua in Padua, Italy takes notes on damage at a hospital in Mexicali. Researchers led by Dr. Benson Shing, Vice Chair of the Department of Structural Engineering at the University of California, San Diego, inspected the earthquake damage in Mexicali, Mexico, April 7, 2010. A 7.2 magnitude earthquake in Baja California on Easter Sunday was felt as far away as Los Angeles.